If I want to run the first and the third query, the unique solution I find is select and comment(CTRL+K, CTRL+C) the second query and select the three query lines and F5(execute query), Is there another solution or shortcut?. For example a way to select non consecutive lines. Exist another productivity way to achieve this? 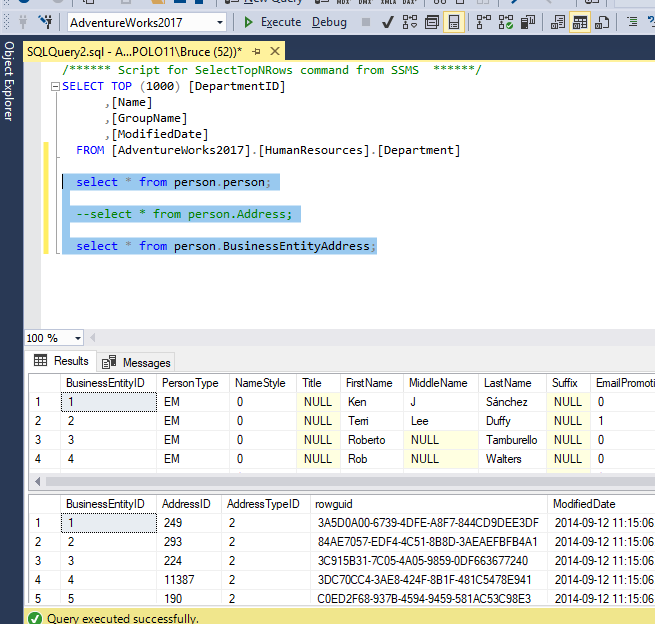 Browse other questions tagged sql-server ssms windows-10 or ask your own question. SSMS shortcut to comment/uncomment a specific part of the query?